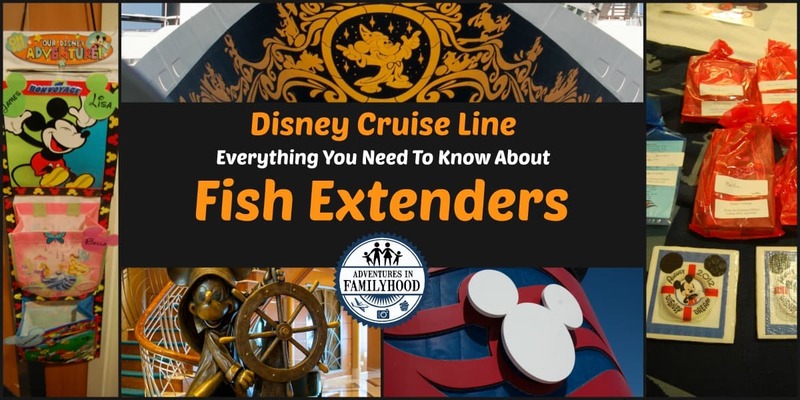 If you’re planning on taking a Disney Cruise, you may have heard of “Fish Extenders”. If you don’t know what a Fish Extender is, don’t worry. We didn’t know either. Find or Start an exchange for your specific cruise sailing. Get a Fish Extender Mailbox to hang outside your stateroom. Make or Buy goodies to deliver to the other staterooms in your exchange. Once you’ve booked your Disney Cruise Line voyage, you can “sign up” to participate in a fish extender exchange for your particular sailing. Signing up is as simple as letting the organizer know you want to participate and supplying basic information such as your name and stateroom number. You can also give some details about your family (gender, ages, interest or favorite character, etc.) so other participants can plan what to give. So where do you find these groups? This online Disney fan community bulletin board site was where the “Fish Extender” Exchange was born. 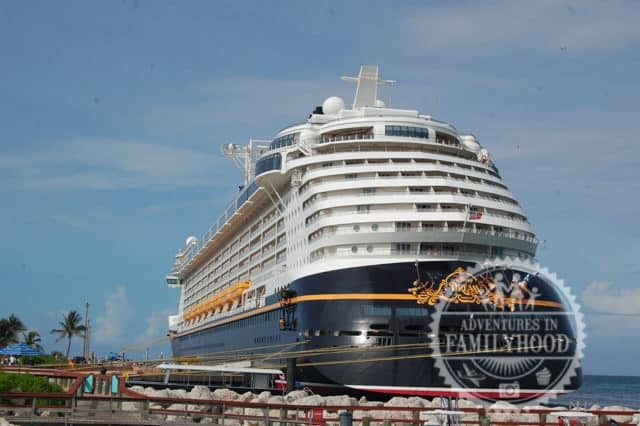 One of the many sub-forums of the site is dedicated to Disney Cruise Line topics, including “Disney Cruise Meets“. Within this forum, you can locate a link to the specific thread for the sailing you will be on. In that thread, you can chat with other passengers from your cruise and it’s a good bet someone will be organizing a Fish Extender Exchange. If you happen to be way ahead of the game and there’s no thread/exchange for your sailing yet, you can either keep checking back or start one yourself! For those who are more into Facebook groups, you can most likely find a specific group for your sailing date and ship. 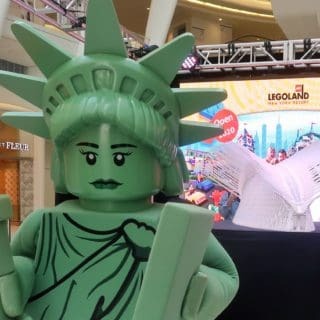 The naming conventions can differ greatly, but will most often include the name of the ship (Dream, Fantasy, Magic, or Wonder) and the date the cruise departs. Sometimes, it’s easier to join a group like “Disney Cruise Meet Facebook Groups“, which has files that list links for groups for different sailings. It is totally possible that your cruise can have several different Fish Extender Exchanges groups going on at the same time. Rules and guidelines will vary from group to group. Some group organizers may decide to limit the number of staterooms in their group or even break down a large group into smaller groups to keep it manageable. I highly suggest being active in whichever group you join and staying up to date on changes/additions as your cruise approaches. Typically, a Fish Extender Exchange group will “close” at about 30-45 days out (about the time when balances are due to be paid in full), to allow everyone a chance to make/buy their goodies for the trip. 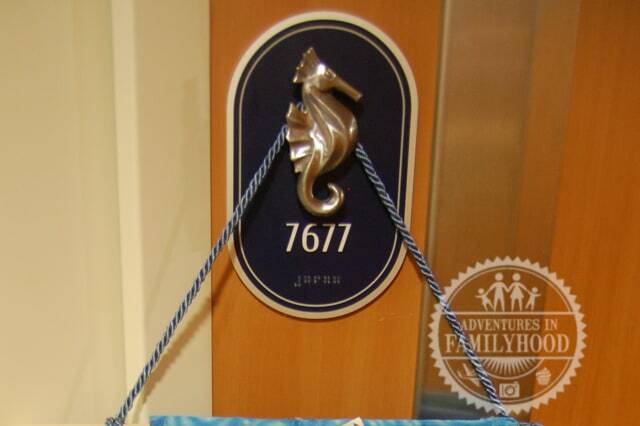 Outside every stateroom is a fish (or in some cases a seahorse). That fish serves as a place for Cruise Staff to leave you messages and documentation. It’s designed to hold a couple of pages of folded paper at most. So, if you are expecting more mail being delivered to your room, you need to “extend” your fish’s ability to hold stuff. That’s where “Fish Extenders” come in. If you aren’t handy or crafty, there’s no need to worry. There are plenty of things you can use, such as a tote bag. 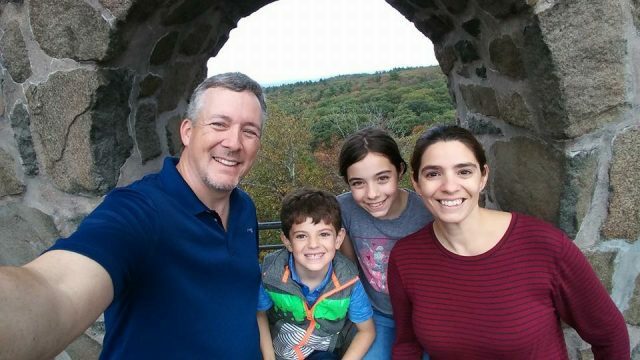 You could even browse Etsy sellers and have something custom-made just for your family. 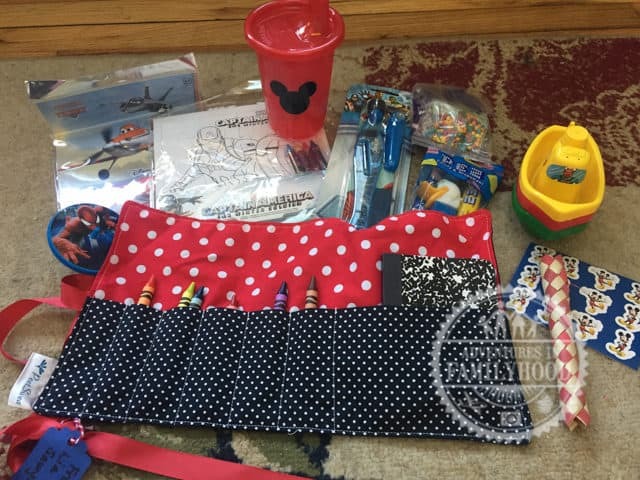 For our 2012 and 2015 cruises, we used a DIY Fish Extender that I made using tote bags and a shoe organizer. I used scissors and hot glue to piece it together. I added a ribbon and scrapbook stickers for decoration, and attached a string to hang it on our fish. What you give to the other participants in your Fish Extender Exchange is totally up to you. 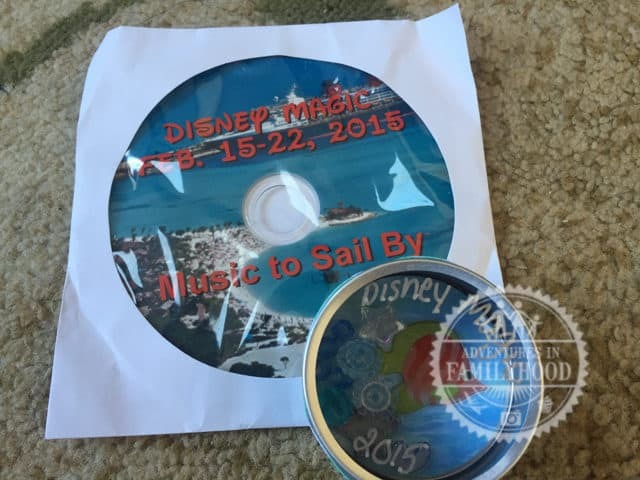 The photo above shows the gifts Lisa and I received during our 7-night cruise on the Magic in 2015. Like the Fish Extender itself, you can opt to make your own crafts/goodies or just go shopping for items to hand out. You can get one gift/surprise for each stateroom, or break it down to individual gifts for each passenger. You can get everyone the same thing, or personalize your gifts to fit the age/gender of each person. These were Jackson’s gifts during that same cruise. The crayon and pad holder was super-cute. You can roll it up and tie it, which makes it great for travel. For our part, we gave out a few different gifts that cruise. 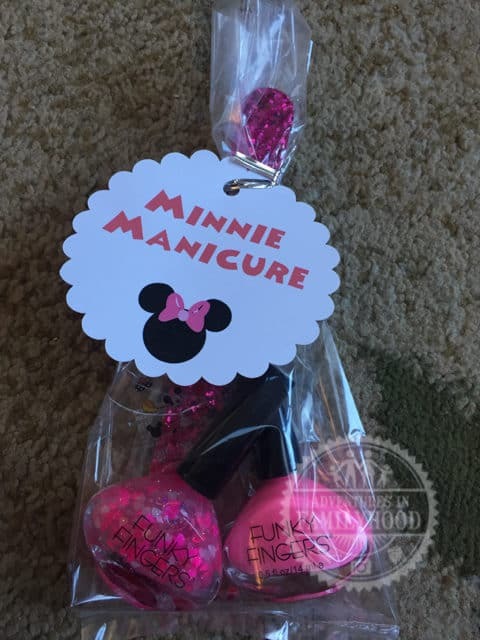 Lisa put together a Minnie Manicure kit for the girls. 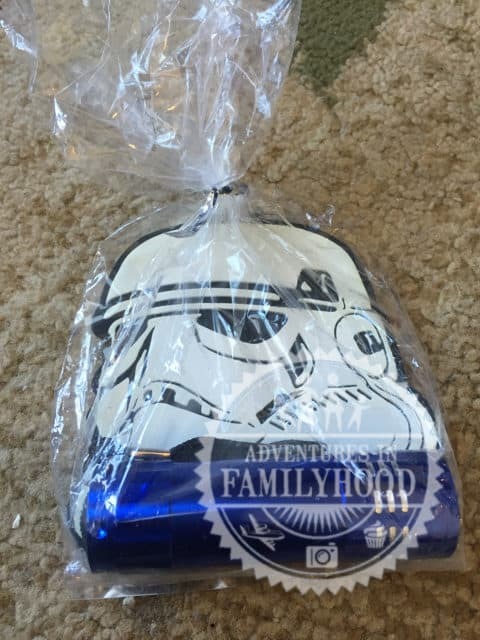 I found these Stormtrooper luggage tags and paired them with a LED flashlight keychain for the guys. We made a CD of music and Lisa made a cute magnet keepsake. We gave these as stateroom gifts. 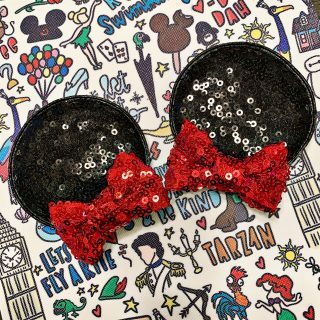 Keep in mind you’ll have to bring these items on board with you (most likely in your luggage), and you should not bring anything on board that could be dangerous or violates Disney Cruise Line regulations. You can read the full list of prohibited items here, but the things that jump out to me to stay away from are candles, toy weapons, balloons, and homemade, precooked or perishable foods. For us, going around to deliver gifts was just as much fun as coming back to our room to find something waiting for us. Depending on the length of your cruise and your itinerary, you may want to wait for the right moment to deliver your gifts. If you’re giving a lot of small gifts, you can certainly spread them over the length of your cruise. If everyone gave out theirs the first night, you wouldn’t have anything to look forward to the rest of the trip. Deliver useful gifts early in the cruise. Keepsakes can wait until the end. If you have many staterooms to deliver to, coming up with a plan is a good idea. You don’t want to miss out on a show or activity because you were too busy delivering. 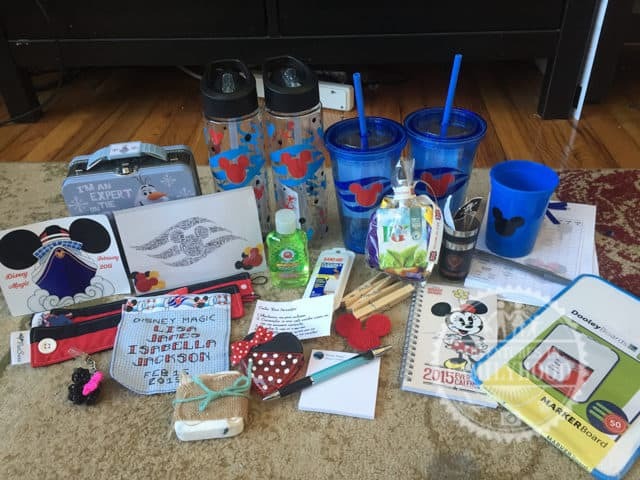 The Delightful Life | So… what’s NOT included on a Disney Cruise? We didn’t participate in FE groups last cruise and we immediately regretted it on board. It seems like everyone does such a fantastic job and truly works hard on making their gifts special. I can’t believe how much you got in just a week! Great post thanks for the tips. It definitely adds something extra to the experience. And you are free to do as much as you want. You can go very basic or go all out. Although, I know we put pressure on ourselves to make our FE gifts special. I had a lot of fun doing this! I made Disney themed wine charms for the adults and soaps for the kids. We got a lot of fun stuff too that I still use. It was a lot of work but I’d do it again! It can definitely be a lot of work. I think more time and effort went into our gifts than money. We definitely still have quite a few gifts around the house that we got from our two cruises. I hear you. We made an effort on our last cruise to come up with gifts that other people would get use out of. And there’s no reason you can’t do exactly what you plan to do and have a fish extender just for your own purposes. 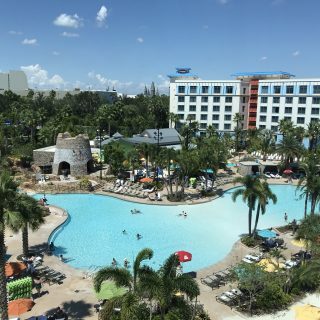 It was so odd preparing for my recent re-introduction to Disney Cruise Line; after 50 years of knowing every inside and out detail of Walt Disney World and Disneyland, I was so clueless about these ships! While I had seen some talk on the DISboards years ago about “fish extenders” it might as well have been a foreign language. I can see that this activity would be so much fun for kids! Might I ask, how much did your items cost? I wondered how much expense it added to an already-costly vacation. It’s no surprise that you did an exceptional and imaginative job in creating your gifts. Thanks for the lesson! That’s a great question. I’d estimate we spent about $100 in materials on our last cruise. We shopped at the dollar store and Five Below for just about everything. We already had the CDs and labels. The luggage tags I found on clearance at Target. 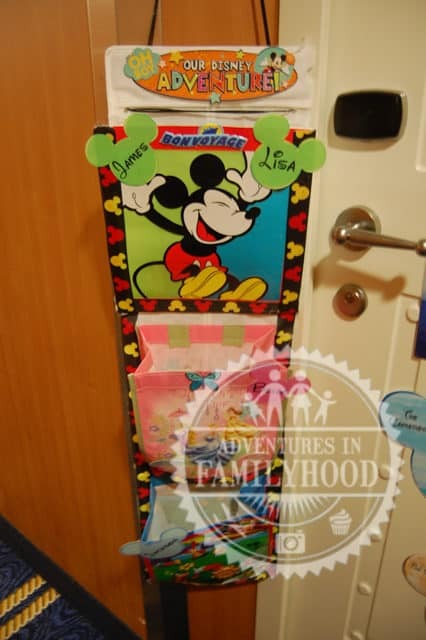 We had a dozen rooms in our group and spent less than $10 per room for all 3 gifts pictured in the post. You get some of that back in the form of the gifts you receive in return, but the excitement and fun of participating is what makes it worth it.